YOUNGSTOWN A memorial service will be held on Friday December 14, 2018 at 10:30 AM at the Kelley-Robb-Cummins Funeral Home with Rev. Michael Swierz officiating for Mercedes D. Montemar, 88, who died Wednesday evening December 5, 2018 at Guardian Health Care. She was born July 21, 1930 in Bantayan, Philippines, a daughter of Concepcion Desamparado. Mrs. Montemar, a homemaker, enjoyed sewing and gardening. Her husband, Jose Montemar, died in 1988. 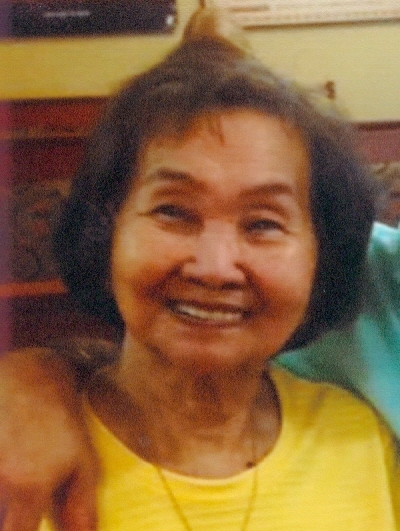 She leaves three daughters, Carolina Curran of Hubbard, Daisy Honoridez and husband Dodong of Talisay Cebu, Philippines and Edna Fontanez and her husband David of Jersey City, NJ; 4 grandchildren, James K. Curran, Kristofer Fontanez, Rassy Joy Honoridez and RanRan Honoridez and two great grandchildren. Mercedes was preceded in death by her parents; her husband Jose; one brother; three sisters and a son-in-law, James Curran. Mercedes final resting place will be in Bantayan Cebu Philippines with her husband.